The Ejendals Tegera 9205 All Round Work Gloves are synthetic leather work gloves with knuckle protection and reinforced design that offer high levels of resistance and protection, which makes them perfect for most medium-weight tasks. Moreover, they are ergonomically shaped, breathable and padded, ensuring your hands remain not only protected, but comfortable as well. 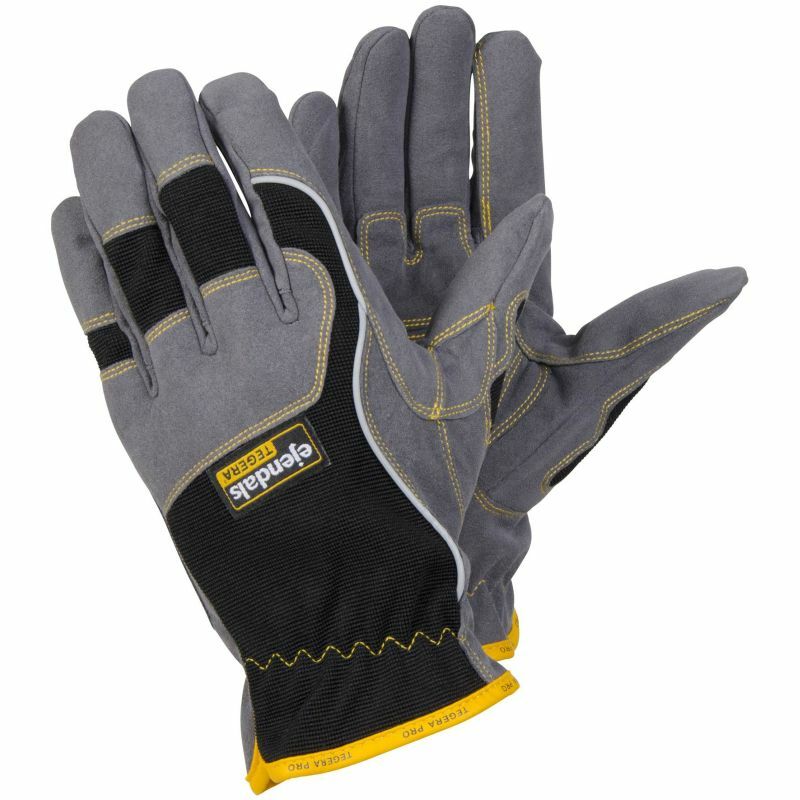 The 9205 All Round Work Gloves are designated Category II gloves, meaning that they can be used for most medium-weight tasks. Gloves in this category are suitable for general handling, and have great puncture and abrasion performance. The Tegera 9205 All Round Work Gloves are available in five sizes that should suit the hands of most users. Please measure the circumference of your hand around the knuckles (excluding the thumb) with your hand open and your fingers together, and the length of your hand from the tip of your middle finger to your wrist.